by donating towards our scholarship fund program. 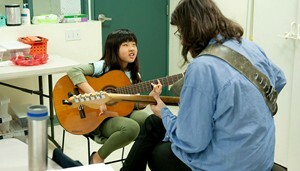 Even a small financial gift can help a blind child receive the specialized music education through our program. AMB depends on private donations from individuals, corporations and foundations to fund 50% of our operating budget and to provide scholarships to deserving students. 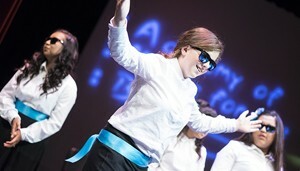 We are dedicated to serving every talented blind student that can benefit from our program. You can make a significant difference by sponsoring our students today! Our talented students love to perform! 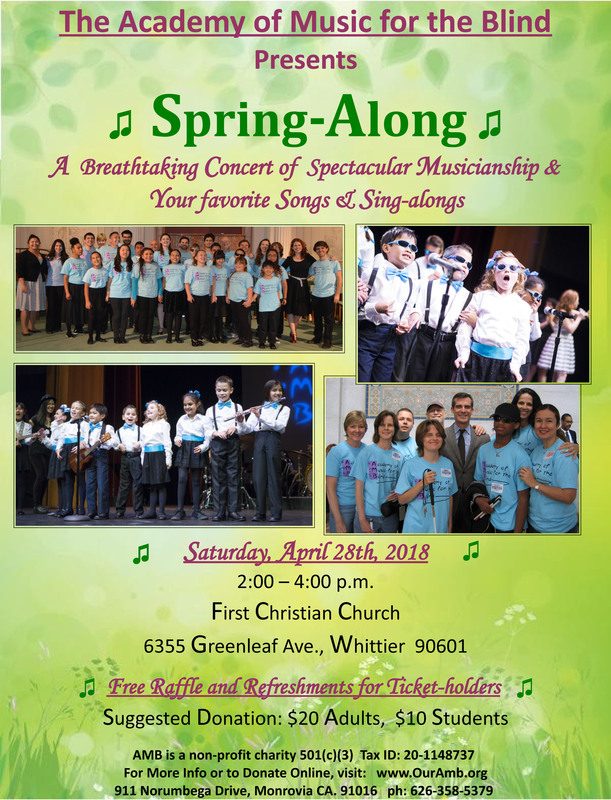 Come and enjoy their inspiring performances at our annual Spring and Winter concerts. Check out our Calendar of Events to get details on all AMB performance dates. AMB welcomes artists that would like to support our organization by helping spread the word about AMB’s mission. We are grateful to have amazingly talented artists such as Tina Guo, Marie Digby, Justin Kauflin, Roger Bart, Ivan Rutherford, Julie Garnye and many others visit and perform for our students.